Peter and I have turned our video discussions of Coming To Jakarta into a book that will be published in the fall by Lexington Books! Most of the book will consist of the transcribed interviews (polished and enhanced with supplementary notes) but Peter also added extensive analysis of the political developments in Indonesia since his poem was published, and wrote new material about his relationship to the poem and the role of poetry in the world. 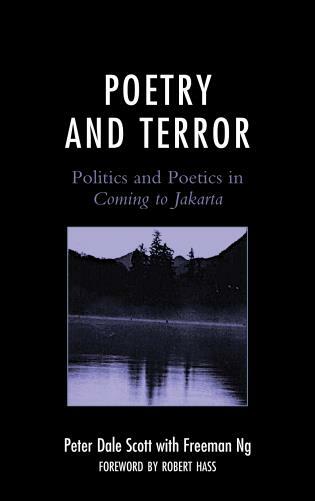 The book is titled, Poetry and Terror: Politics and Poetics in Coming to Jakarta. At the publisher’s request, I’ll be taking down our video discussions from YouTube and removing all the posts here that once linked to the videos. I hope that everybody who wanted to view them has been able to do so. They’ll shortly be reintroduced into the world in printed form. 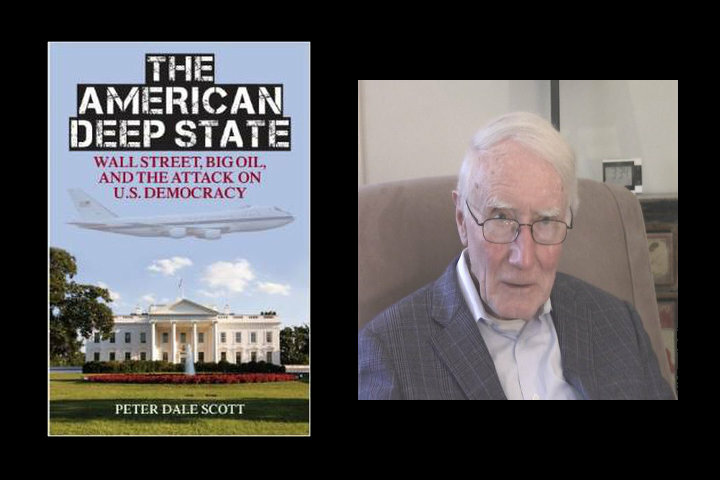 A discussion with Peter Dale Scott about his new book, The American Deep State: Wall Street, Big Oil, and the Attack on U.S. Democracy. We take another break from the book to discuss more Deep Politics. We take a break from the Coming To Jakarta readings to discuss Peter’s new poetry collection: Tilting Point. Coming to Coming to Jakarta is a series of video podcasts in which poet, political researcher, and former Canadian diplomat Peter Dale Scott reads aloud from and discusses Coming to Jakarta, his book length poem about the 1965 Indonesian massacre that former U.S. poet laureate Robert Hass called "the most important political poem to appear in the English language in a very long time." The interviews were conducted - and this blog authored - by writer, poet, and former Google software engineer Freeman Ng, whose other writing can be found through his website at www.AuthorFreeman.com.